Whenever I compare products today with products 10 years back or 30 years back, I always wonder how much things have changed. From customers' needs to perception, from products dimensions to functions, from companies' attitude to altitude, everything is different. But there are products and brands which had actually changed the market scenario in India. These legends have succeeded against all odds and continued their dominance over a lifetime. In 1983, when Maruti introduced its first car Maruti 800, nobody would have thought that this brand will become a legend in India. But slowly customers moved towards it because they felt its products were easy to drive, easy to maintain, light on pocket and moreover a different style which many can afford. This brand is ruling the Indian automobile sector and all customer surveys for a whopping 25 years. Maruti has found the pulse of Indian customers and seems like they have a knack of creating legendary products. Now after Maruti 800, Swift and Wagon R have already become iconic brands and creating history again and again. Amul is one brand which actually ended era of the milkman. The white revolution (or some call it operation flood) which started in 1973 has today reached each and every corner of India. 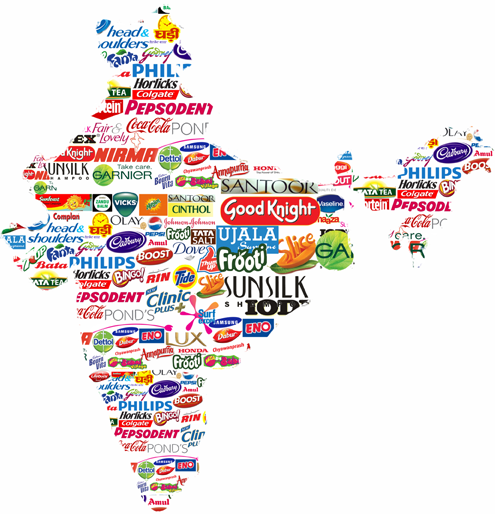 Amul today has over one million, over 10000 distributors and over 7200 excusive Parlours. The success of Amul brand can be easily dedicated to Late Mr. Verghese Kurian who mobilized thousands of small dairy farmers and created this legend called Amul for life. From over 70 years, Parle-G is the largest selling biscuit brand in India and from last 40 years largest selling biscuit brand worldwide. For some it is a little treat and for some it is a one time meal. Many flavours, many variants of other biscuits had come and gone but this brand has never moved an inch from its leadership position. According to me this is one legendary product which had played and will play one of the longest innings in Indian market. Launched in 1937, Coalgate revolutionized dental care in India. Those days people used to clean their teeth with neem or babool twig but Colgate changed it all. For over 70 years this Colgate dental cream ruled Indian dental care space and in recent past only it has started facing some heat from the likes of Close-up, Pepsodent, Dabur and Oral-B. But all said and done, this product has been immortalized in Indian history as one of the biggest successes of all times. State Bank of India can be easily termed as bank for the common man. Roots of this banking giant can be traced back to 1806 when it started its journey as Bank of Calcutta. From then in 1921 it turned into Imperial Bank of India and in 1955 it became today's State Bank of India. With over USD 400 billion assets, deposits of over USD 300 billion and over 20000 branches, this banking legend is going to stay on top for long. Even though 25 years back it was first choice of every Indian and in recent decade new entrants like ICICI, HDFC have taken a big share of urban customers, SBI is still first choice of every common man. Many companies have come and gone but Bata has remained undisputed king of organized Indian footwear industry from last 70 years. With currently sales of over 50 million pairs of footwear per year in India, Bata has reached where nobody can even think of reaching at present. In fact, rubber slippers launched by Bata under the name 'Hawai' is so famous that every rubber slipper is now called as hawai chappal in India. After seeing history of Bata you can say that in products, 'legends are not born they are created'. Launched in 1950, Prestige changed the way food was cooked. Its famous tagline for Prestige pressure cooker, "Jo biwi se kare pyaar, vo prestige se kaise kare inkaar", is a household slogan in itself. In last 64 years, this brand has reached to such a height that now on an average every 7 seconds a prestige product is sold in India. This feet can be achieved only by a legendary brand and it seems this is one product which is set to play not out innings at leadership position. If you want to buy a watch of Indian Brand, I am sure Titan will be the first to consider. With over 60% Indians opting for this brand and a market leadership spanning nearly 20 years, this legendary brand is here to stay for long. Started in 1984, when HMT and Allwyn were at their peak, slowly and steadily this brand kept on winning consumers hearts and today it sells over 15 million watches every year. The blue bottle of Parachute has become a brand of trust in hair oil segment. When it was launched in 1987, market was dominated by unbranded hair oils but Parachute changed the tide. Today over 18 million households use Parachute and it enjoys over 50% market share in branded hair oil category. This is one brand which has withstood competition from various products and brands but never moved from its leadership position till date. Whenever you want to quench your thirst with a Cola, 40% of Indians opt for Thums Up. Launched in 1977 by Parle, it became part of Coca-Cola in 1993. Though Coca-Cola wanted to phase it out but this legendary product was so strong that they had to think otherwise. In last 40 years this product has seen many ups and downs, fierce competition from likes of Pepsi and Coke but remained on top due to strong fan following. Like its logo, my vote goes for it as legend in aerated drinks segment. Vaseline in my mind will always remain synonym to petroleum jelly. I still remember from my early childhood days when it used to come in tin box. For over 130 years, this legend has ruled the skin care segment and keeping in mind the customer needs, kept on launching new products at regular intervals. Now I see so many products under Vaseline brand that original petroleum jelly seems lost but no other product can take its place as legend for sure. 'Bas 2 Minute' noodles is favourite among kids today and slogan for instant noodles in India. Introduced in 1982, this brand has its share of tough competition, ups and downs in its history. Today it enjoys 60% market share in instant noodles category with a big range of products. Even though my favourite will always be Top Ramen Curry Noodles, brand Maggi will remain a legend in Indian market since it was the first to challenge local snacks like samosas, pakoras etc successfully. For new generation, this may be a surprise inclusion but this iconic product is market leader in pain relief segment for over 100 years now. Zandu Balm has become synonymous to all balms and in India it is a part of over 50 million households. It may be feeling heat from new products like Volini or Moov or to some extent Tiger Balm, but this legendary product still has more leadership years left in it. Again this may be a surprise inclusion but this product is market leader in its segment from last 70 years. Nowadays people may rely more on health drinks for vigor and vitality but chyawanprash is known to be best natural ayurvedic resource for youthfulness. In our childhood I still remember everybody in most of the families taking Dabur Chyawanprash daily and this habit has not changed for many families till date.